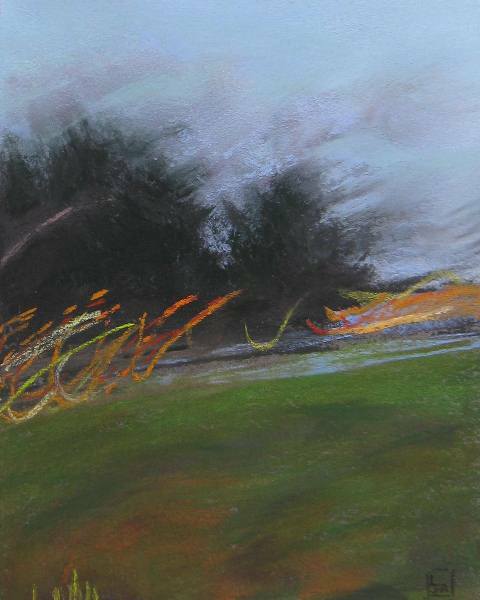 Here is my latest pastel based on an image I took at dusk on a stormy evening in peak hour traffic. There is something about the muted colours and the contrast of the blurred shapes with the scribbly sharp lights that I love. The highlights aren’t easy to achieve with pastel but somehow the essence of the mood is there. 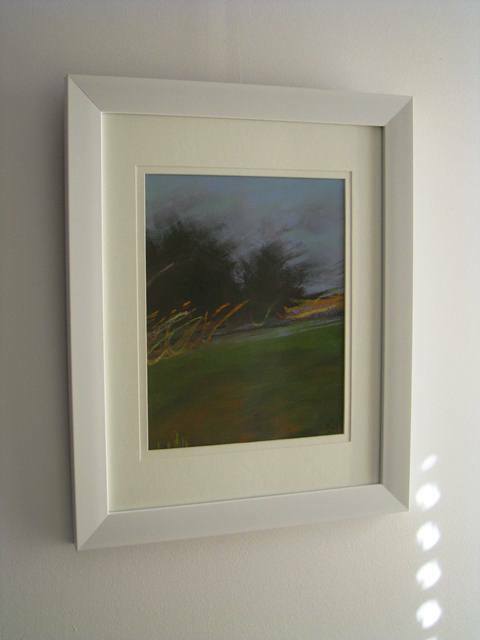 This is the first pastel I have had framed; thought I would try an off-the-shelf one (without spacers) and see if there were problems with the pastel dropping onto the matt or not. 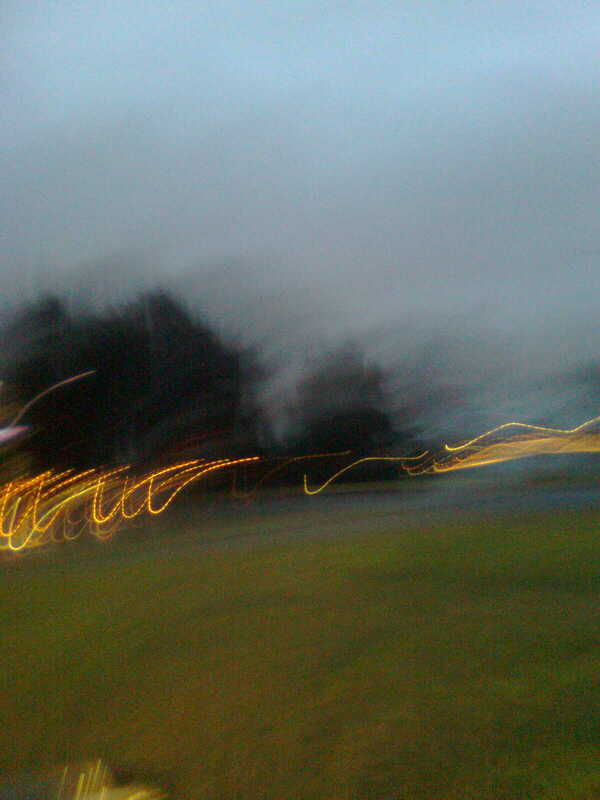 I love it Laura – seems to capture the essence of a fleeting moment in time. that is just bewdiful mate! Oh thank you my love. I have been thinking about you.